What kinds of problems do employees often encounter? What is the biggest compliment a client can give you? How are you able to work with both employers and employees? What are the most common types of cases you handle? How important are AV ratings? Can wrongful termination occur in Florida? Does the firm represent white collar cases? Is my job at risk if I ask a lawyer for advice? What is owed to someone who has been sexually harassed? Is there a retainer or cost to the client before starting a case? What should I do if I think I’m being sexually harassed? What is a major issue on the employee side of workplace law? What activities are protected under the whistleblower law? What are the most common types of discrimination? 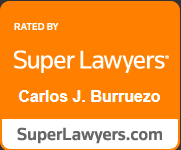 Who does Burruezo & Burruezo represent in employee labor law cases? What is the process for an employee that may have an issue? What are common violations found in the medical profession? What is Title VII and what is a violation of Title VII? What is the hiring process from start to finish? What should you look for when hiring an attorney? What are people’s biggest concerns when they come to you for a discrimination case? Transcription – Bertha L. Burruezo, Esq. Employment and Social Media (Part 1): Can my employer request my personal social media user name and password?